This entry was posted on June 23, 2014 by Dan Bacci. 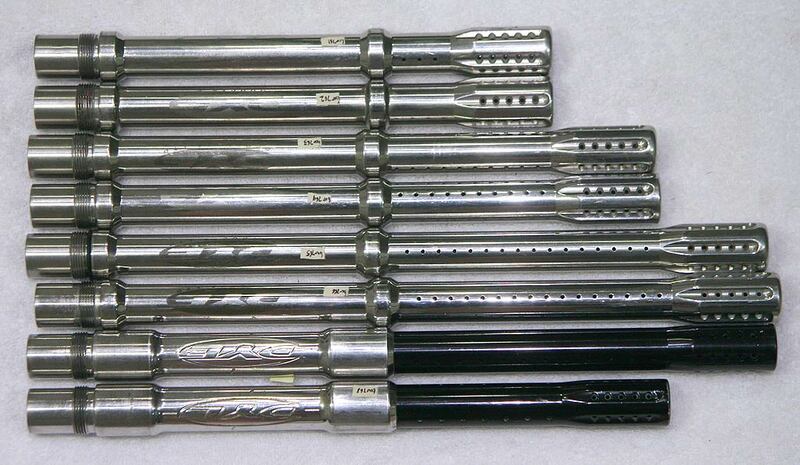 This batch of Autococker and Automag barrels includes about 50 autococker barrels and about 20 or so automag barrels. These are mostly old school kits with barrels from Dye, Smart Parts, Bob Long / Dac, J and J and Boa. The group showing most of the inventoried autococker barrels. Here are the Smart Parts barrels from this group. Find them here. All are glued and range from about 12.25 to 15.75 inches. The top has a nickel plated aluminum back, the others are black anodized aluminum. These typically have a smaller ID bore back (still around .690 at the smallest) and larger OD front which is usually .70. Dye barrels added to inventory including 6 stainless with two 10 inch barrels, two 12 inch barrels and two 14 inch barrels. And on the bottom two boomsticks with aluminum fronts and stainless backs, glued together. 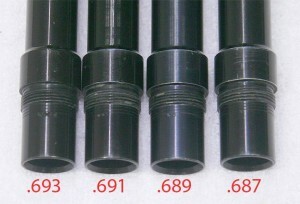 Bore sizes range from .685 to .690. 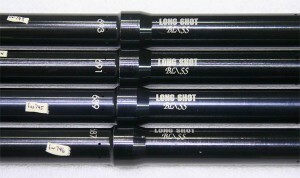 A set of four Bob Long Autococker barrels in very good shape. 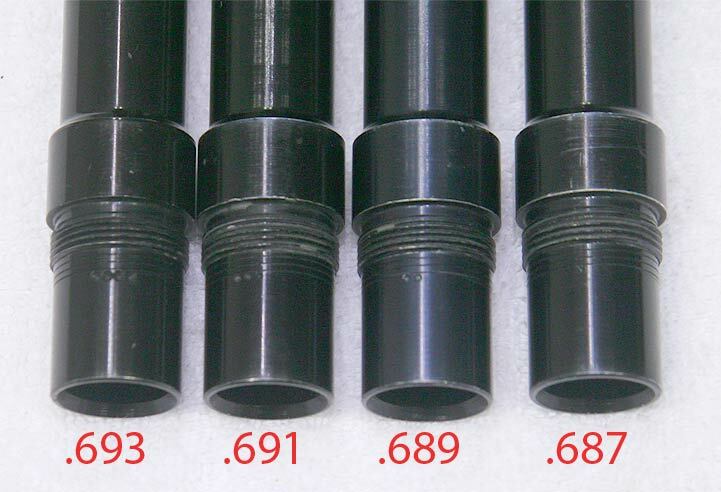 These are accurately engraved with the sizes, .687, .689, .691 and .693. They are 14 inches and would go perfect on an old Ironmen cocker or a Bob Long Signature Series paintgun. 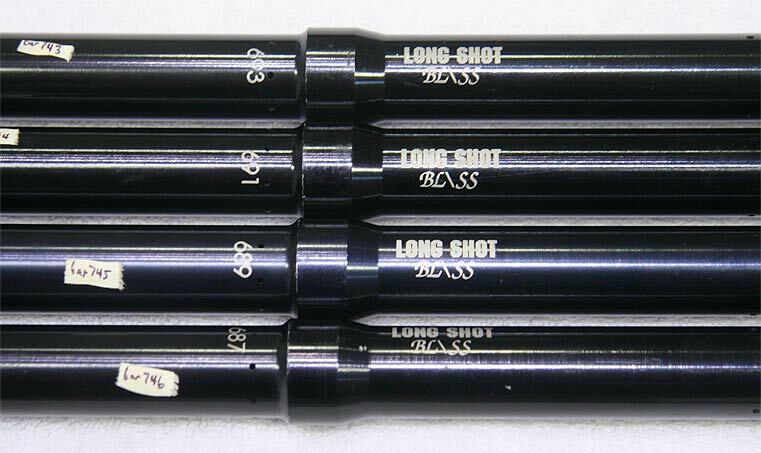 These Bob Long / DAC barrels also have dots cut into them to indicate the bore size. 4 dots is the largest and 1 dot is the smallest. Another neat Cocker barrel added in this batch is an ACI Graffiti series barrel that is graffic anodized in an American Flag pattern. Perfect for 4th of July games. Close up of the American Flag pattern on this ACI barrel. And a batch of J and J and Boa barrels. The top two are stainless by J and J, the next two are likely hard chromed BOA with one hard chromed J and J following and then 3 bare brass J and Js. A couple of these Autococker barrels have J and Js straight rifling internally on the bore. 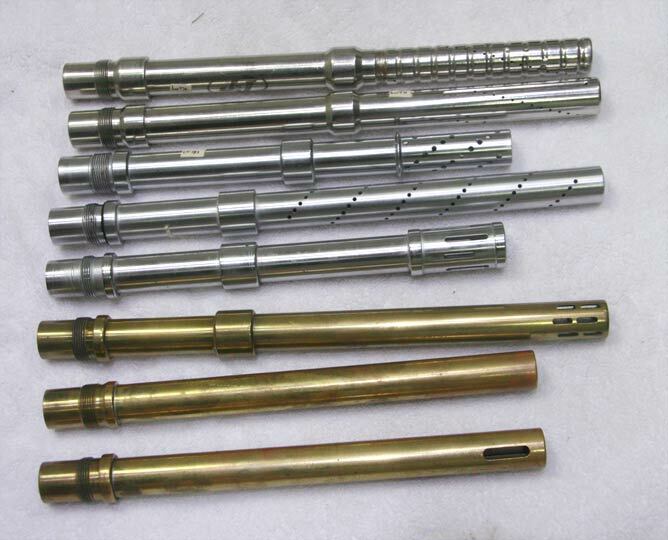 And here is the batch of automag barrels that was also added. A bunch of stock Bull barrels with several neat additions including the cool camo twistlock Armson and an AKA (not AKLAMP) hard chrome steel barrel. The last 7 on the right were not added because my Canon lens broke. They'll likely be added next week with the next batch of barrels after I repair my lens.